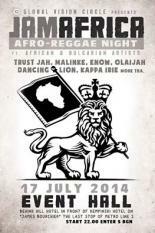 African & Jamaican music TOGETHER in a great new club in Sofia City! Next afro-bulgarian crucial creative collaboration. Many artist - One Soul. Do It JAH !